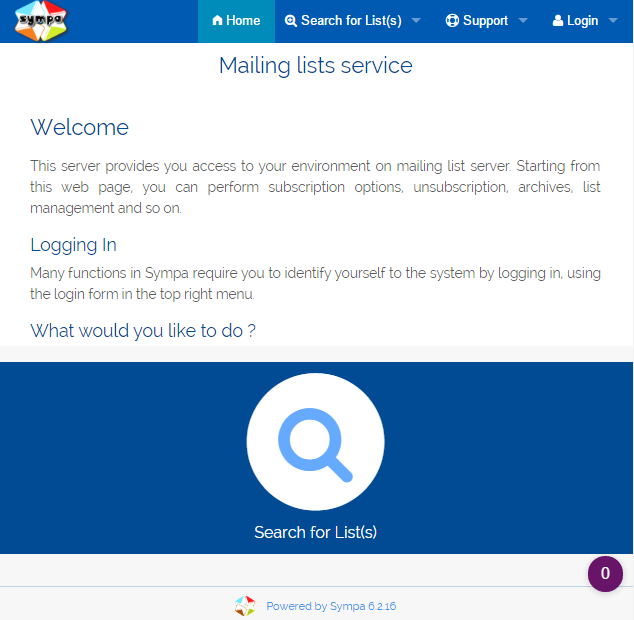 Let's install sympa with postfix on a FreeBSD jail. In my opinion, this is plain stupid. Running software should not be able to edit its config files. Also, I think this is bad practice. Do I like this? Absolutely not. In particular, sympa needs to write into /etc/mail/aliases.db. If that file already exists on your system, give it a good chown as well. 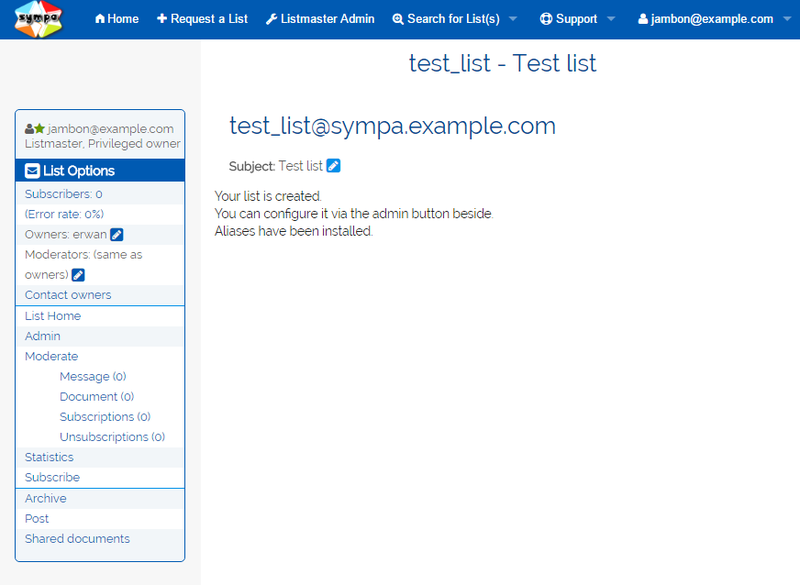 Configuring the database of sympa is out of the scope of this article. Here I'm simply using MySQL. The web interface is now available.